The infusion of cash propels your business to higher earnings. Repaying the loan cuts into your revenue and stifles your expansion. Achieving the first outcome while avoiding the second should be your goal when shopping for the right business loan. With dozens of different business lending programs, many borrowers can strike the right balance. It just takes a little research into the options at your disposal. In this guide, we'll walk you through the basics of business loans so you can pick the right funding source to see your business thrive. Can Business Loans Fund Startups? Lenders offer so many kinds of loans because business owners have a wide variety of needs. Finding a loan to start a business will be different from borrowing money to upgrade equipment. A loan to ease seasonal cash flow problems won’t resemble a loan to launch a new product line. Amount: Exactly how much money do you need? Purpose: Why exactly do you need the money? For operating expenses or equipment, for example. Timing: How quickly do you need the money? How quickly can you repay the loan? Collateral: Does your business have collateral to secure the loan or would you need to put up personal collateral? 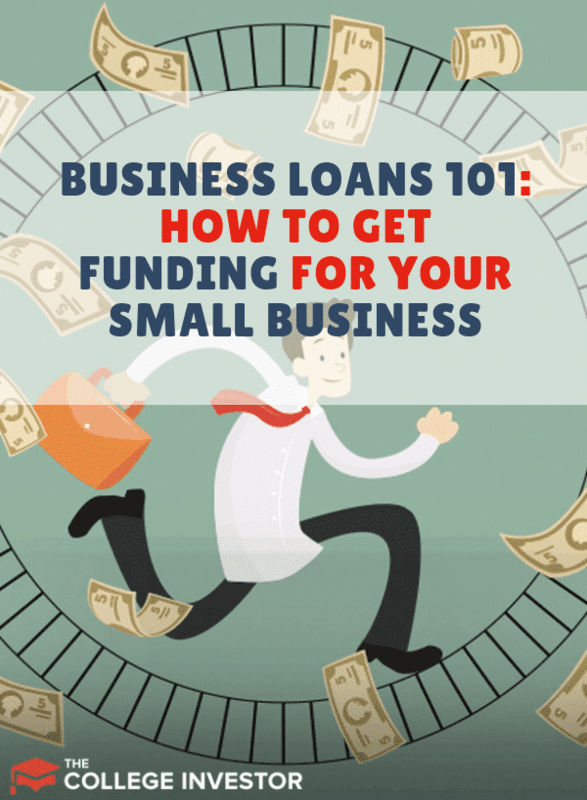 Whether to borrow: Is a loan really the best way to fund your business? Keeping these questions in mind can save you some time as you explore the following loan options. An existing business hoping to expand capacity, open a new branch, or start offering a new product or service has many borrowing options. A business term loan works kind of like a home mortgage. You can borrow a fixed amount of money and pay it back with interest over a specified period of time. Many lenders offer $1 million or higher to borrowers, making these loans ideal for businesses requiring larger investments. Online and traditional banks offer term loans, and an existing business can typically get funding quickly. Lenders will require some form of collateral, whether business property or personal property. Lenders also will want to see at least a year of business success before lending. Some programs may require several years worth of successful operation. Best for: Large expansions in an existing business. The federal Small Business Administration helps small companies get better loan terms by guaranteeing business loans. With an SBA-backed loan, your bank can afford to give your business a lower interest rate. Benefits also include longer payback periods which can reach 25 years for business real estate purchases. However, like many federally subsidized loans, you’ll have to deal with some red tape in the application process, which takes time. It’s nearly impossible for a startup to secure financing through the SBA, though the administration does have a microloan program for startups. An existing business in need of infrastructure updates -- whether for physical infrastructure like printing equipment or systems infrastructure like software upgrades -- may benefit from an equipment loan. You can get an equipment loan with terms matching the lifespan of your equipment, emulating a lease agreement, while still benefiting from equipment ownership. The equipment itself can serve as the collateral, making equipment loans even more attractive to business owners. You should expect to make a down payment, though. Borrowers should be careful to avoid lending terms that exceed the useful life of the equipment. For shorter-term and less-defined business needs, a business line of credit can help. A line of credit works more like a credit card: You can borrow a little at a time until you reach your account maximum. If you’ll be expanding your business slowly, or if you don’t know exactly how much you’ll need, a line of credit could give you the flexibility you’d need. Make sure you have a good credit record and a reliable stream of revenue before applying because these loans don’t typically require collateral. Also, expect a higher interest rate and maintenance fees. Best for: Ongoing expansions or projects without a firm budget. Leading lenders: Street Shares, BlueVine, Fundbox (for applicants with lower credit scores or businesses with only three months of operations). The business cycle can be brutal in some industries. If your company needs some financial flexibility to get through a rough time, these programs can help. Some seasonal businesses who earn almost all of their revenue in a few months depend on this kind of creative financing. A business with cash flow problems can benefit from invoice factoring, which lets you turn upcoming invoices into current cash flow. This can help if you’re expecting invoice payments within two months, for example, but you can’t wait that long for the money. Essentially, you’re selling your upcoming invoices to a factoring company which then becomes responsible for collecting on the invoices. Use this option only when you know for sure your customers will pay their invoices, and expect to incur some high fees to make it happen. Best for: Solving cash flow problems when you know your customers will pay their bills in the near future. With invoice financing, you use your unpaid invoices as collateral for a loan. Many business owners prefer this method to invoice factoring because your customers wouldn’t know their unpaid invoices had been leveraged for cash. You’ll incur steep fees, and unlike invoice factoring, you’re still responsible for collecting the invoices when they come due. This method can usually generate needed money quickly. Best for: Solving cash flow issues when you’d rather maintain control of your upcoming invoices. A merchant cash advance isn’t technically a loan. It’s a source of cash you can pay back through your business’s future sales. As repayment, the advancer will usually take a percentage of your incoming credit and debit card transactions, though you could set up automatic withdrawals from a bank account in some cases. You’ll get cash quickly and without the need for collateral, but the repayment terms can crimp your cash flow down the line. Best for: A business in need of quick cash who can’t find better terms elsewhere. Also, stay away from this option if your business doesn’t receive a high volume of credit and debit card sales. Sometimes a simple business credit card can get you through a rough patch. As with any credit card, expect high annual percentage rates and the possibility of annual fees. However, some credit cards offer great perks that can reward your spend. Check out our list of the best credit cards for bloggers and online businesses. If you can get a card with cash back or other rewards programs, you may as well take advantage of the promotions. New startups struggle to find business loans. Lenders want to see a successful track record of business success before extending financing. This automatically excludes startups, and it also excludes most businesses with less than one year in operation. Also, startups don’t typically have business collateral to borrow against, which further complicates the lending process. It may be possible for a startup to find financing with an online bank charging exorbitant interest charges. Interest rates for these loans sometimes surpass 100 percent. Startups can often secure a smaller amount of financing with a microloan. By “smaller amount” I mean $10,000 - $50,000. Along with small infusions of capital, micro lenders also provide guidance for entrepreneurs to help them succeed. These programs work best for startups who need money for computers and software, to find office space, or for other essential equipment. Micro lenders tend to be nonprofits with a goal of fostering business development, so you should expect favorable lending terms but stringent guidelines. Because these loans have a purpose -- to help underdeveloped areas -- they aren’t available in all cities or neighborhoods. Crowdfunding isn’t exactly lending. It’s more like informal investing. Equity Crowdfunding: A pool of investors online can invest in your business in exchange for equity ownership in your business. This works best when you need a small amount of money and have a strong plan for growth. Rewards Crowdfunding: In this more popular model of crowdfunding, people donate money to your business online in exchange for rewards, such as the products or services your business plans to provide. Again, you’ll need a compelling business pitch to attract investors who see a lot of business plans. Your new business may not have the track record banks require to issue loans, but a personal loan can generate the money your business needs if you have a strong credit history. New business owners who believe in their idea and its potential for success are often willing to take out a second mortgage, a home equity line of credit, an unsecured personal loan, or even personal credit cards. Naturally, this can lead to terrible personal financial turmoil if your business fails. Check our list of the best personal loan companies. Leveraging your retirement: Similarly, some new business owners turn to their retirement funds through a rollover as business startup (ROBS) program. You’d incur high fees and risk losing your retirement funds, but you shouldn’t have to pay income taxes on the withdrawals. A new business owner could create some liquidity with a business credit card, which works like a regular credit card. You’ll need to qualify with your personal credit score and you’ll face high interest charges, but you’ll also have an unsecured source of money for office supplies, utilities, or travel expenses. This isn’t a long-term solution, but it can buy you some time until you get a revenue stream going. Many budding entrepreneurs turn to friends and family members as a source of startup money. If you have friends, siblings, parents, or in-laws who believe in your idea, they may be willing to extend your financing. Depending on your benefactors’ preferences, you could treat the investment as a loan you’d repay, as an equity investment in your business, or as a gift. It’s a long shot, but some businesses have gotten their start with help from free money, also known as grants. The application process can be strenuous, and receiving a grant may come with oversight from the benefactor. But if you qualify, a grant could offer some capital to help get your business off the ground. Entrepreneurs who are women or veterans can often find grant programs designed specifically to help them get started. Interest Rates: Borrowers accustomed only to personal finance are often surprised at the high interest rates some business loans charge. 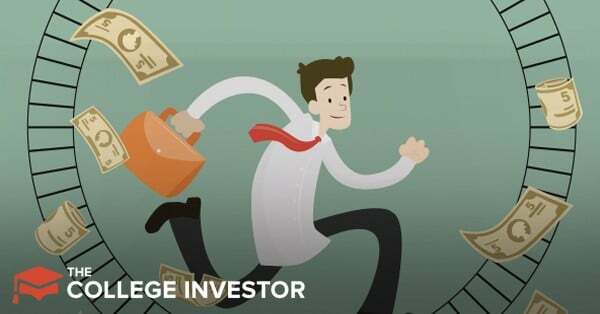 Of course you’ll want to look for the best rate in the market, especially since several programs approach 100 percent interest on some loans. Payback Terms: Before finalizing a loan, consider how the payback terms will impact your cash flow down the line. If your business struggles to repay, the loan can do more harm than good. An SBA-backed loan usually can help unlock more favorable, longer terms, up to 25 years in some cases. Collateral Decisions: If you can put up business-owned collateral rather than personal property, do so. A failed business would be a bigger problem if it compromised your personal property. Credit Score: For many small business loan programs, your personal credit score as a business owner can impact your loan’s terms. Paying your personal bills on time and keeping your debt under control can help your business. The Right Program: Make sure you’re applying for the right kind of loan. Using a term loan to solve cash flow problems can make your problem worse if you experience the same cash shortage a year from now. Instead, look into invoice factoring or invoice financing. Business owners don’t always consider whether they should borrow money in the first place. If you could generate the money you need by selling unneeded property or waiting a few months to build up the capital, consider skipping the loan altogether. Timing is everything in business, though. If you need to expand to unlock new potential for growth or maintain your existing client base, the right business loan can provide the capital you need. A lot of people, when exploring business startup costs, believe a bank will readily get behind their business plan with a sizable loan. In reality, startups aren’t likely to find much help through traditional business loans. Instead, they should look for alternative sources of funding such as micro lending, grants, and investments from friends, partners, or family members. If you can get through the first year in business, opportunities for more serious funding can become available: term loans, SBA loans, equipment loans, lines of credit. At that point, you’ll have many more choices to help you break through to a higher level of earning, independence, and growth.